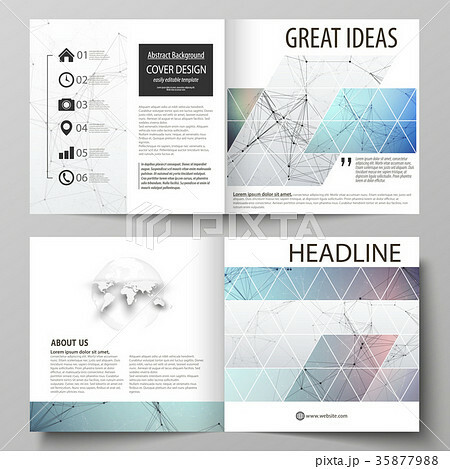 Business templates for square design bi fold brochure, flyer, report. Leaflet cover, vector layout. Compounds lines and dots. Big data visualization in minimal style. Graphic communication background.